Children have more access to cell phones than "books on paper." My answer - redefine books and deliver all educational content via handheld. Stop defining the future of our children with the tools of our past. Have the new office free for 180 days with this tool. Does Windows 7 Make Up for Vista? Lifehacker cites a report that says that customer satisfaction with Microsoft is "at an all time high" mostly because of Windows 7. Would be interested to hear from someone using it. I have to admit that the snapping windows look very cool. This student did a solid job of describing visual data analysis and shared some cool new tools that I didn't know about. I especially like the explanation of 4d mapping at the end of this. Amazingly cool maps shown in so many different ways. This is a great tool for geography teachers. Teacher information and facts on how to use google docs to import data into Gapminder to plot it yourself. Statistics teachers in middle, high school, and college may also find this very useful. A student on netgened shared this with me based upon his topic "visual data analysis." This is an amazing repository of statistics shown in very cool ways. Great for social sciences. An excellent blog post and video about augmented reality from a student on netGened. This is what a successful project looks like. The seniors each year create a slideshow. Well, we call it a slideshow, but it is not - it is actually a very fancy DVD with mixed music, special effects, and a tribute to each senior that lasts 45 minutes. This year's digital filmmaking class put it together along with many of the seniors not in the class. Usually, I have to do a lot with the slide show. This year, I was really just a technical advisor. At first, I didn't know what to think. Will they get it done? Will it be good? Will they try to slip anything inappropriate in? (I screen the full show as does the headmaster 3 days before, but if this happens the re-editing process can be stressful.) Will everyone be included and the final outcome be fair? These are all the questions I asked. And in true teacher form, eventually, I answered myself. "No, Vicki, they do not. You have taught them and now they can do this. They can figure it out." They had never made a DVD menu, I thought at least I'd do that. Well, I pointed them in the right direction and started it and Mitch (the project manager) took over and finished. They rendered it themselves. THEY DID IT. "You do know that although you didn't MAKE the movie that you MADE IT POSSIBLE." And that, is my take away. Teachers are possibility makers. We teach students to use technology (or whatever our subject) and problem solve. We teach them to confidently create and be responsible for the outcome. And eventually, they graduate and no longer need us to look over their shoulder - they are ready to fly. And that, my friend is the greatest compliment of a teacher. If, on the last day, you know that your students have mastered the topic and THEY DON'T NEED YOU anymore and are able to accomplish the task; you haven't rendered yourself obsolete because there is always a new class of students who will need your teaching ability but indeed, you have truly taught. You have been a teacher. Then why does it hurt? Well, letting go hurts. Birthing your child hurts. Sending your child into the world hurts. And yet, the beauty of a newborn baby, a graduating senior who has their act together, a child who has their act together and is ready to face the world - these are hopeful and beautiful things as well. A fetus HAS to be born or it will threaten the life of the child AND the mother. And truly, seniors must graduate and move into the world... it is their time. Likewise, eventually, if you have done your job, your students may revere and appreciate you but they won't NEED you. They will be able to do it. This is a good thing and is the circle of life. So, I shall sit back and reminisce. That was a good movie - as awe inspiring as Gone With the Wind and as tear-jerking as Beaches to me. It was especially good because I know the sacrifice that those students made to create the movie. It was theirs. They did it. They worked very hard on it. I was a bystander but one who very proudly looked at their work and nodded knowing that indeed it is the product of a well-crafted and delivered technology program that continues to be my baby. Au Revoir. Farewell. "Bye y'all." I'm proud of you! Index of motivational youtube speeches. Kindle reader group guides and links to Kindle books. Kindle just updated their ap for computers this week with some major enhancements. This is MY go to blog for everything kindle. Gearing up for summer -- recovering myself. Boy, I'm looking forward to finding myself again! My students will do theirs in about 30 minutes from the time of this posting 10:15 am EDT today and again at 1:15 pm EDT or feel free to join any of our sessions. Please join us to hear students talk about the leading research about their generation and the technologies that will impact them in college. Members of CUE in California are discussing this older post from 2006 about the lessons of change. I loved reading this because so much has happened since this time and yet I still agree with what I said in this! So, I know NOTHING about 3D projectors and even less about the 3d content out there - however, could imagine that it would be cool if it works. Here is a research study forwarded to me about how 3d projectors improve test scores -- as with everything it is not the projector but how the projector is USED. If you want to be involved! In partnership with Elluminate, we are in the process of organizing a free virtual online global education conference to hopefully take place in November of 2010. Our conference strands are *tentatively* set to include: Teachers (professional development, training, etc. ), Students (student-led initiatives, exchange programs, service learning etc. 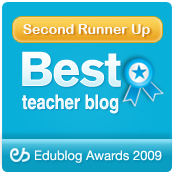 ), Pedagogy (curriculum, digital citizenship, assessment etc. ), Policy and Leadership (exemplary schools, ICT infrastructure, government initiatives etc. ), and Change (peace and social justice, equity, etc.). - Volunteering to mentor other educators around the topic of developing global collaborative projects. We are seeking people who will partner with less experienced educators to introduce them to this concept. I used this research in writing a grant for securing Amazon Kindle's and using their text to speech feature to help students with reading comprehension. Sadoski, M. & Paivio, A. (2004). A dual coding theoretical model of reading. In R. B. Ruddell & N. J. Unrau (Eds. ), Theoretical models and processes of reading (5th ed.) (pp. 1329-1362). Newark, DE: International Reading Association.
" We, The Hazardous Players, have been building a fantasy adventure where we plan on constructing multiply narratives using various media: writing, audio performance and art, (eventually video), to create a story that is an expanding fantasy for children and adults. Though we realize this is a nontraditional approach to literature, we do see that this could be a unique way to tell a story, harkening back to the time of episodic adventures on the radio. " Couldn't students do this as a semester or shorter project? Stephen Colbert lashed out against the SAT's and the prep courses. As an SAT prep person, this came across my desk. Not really sure what the SAT measures -- often it is your affluence that it measures - that is a good point. The only part I really don't care for is the fun he pokes at the "learning disabled" a misunderstood "category" if I've ever seen one. Watching a really cool student video on augmented reality! What happens when you cannot see what they are looking at? To get started, I always break it down for the kids. Students, when we have a wiki, there are two phases: content creation and content editing and refinement. If the page is blank that is where we are now. You cannot pick up an invisible desk- likewise, if nothing is there, you cannot edit an invisible wiki - NOTHING IS THERE. So, our first job is to create content. I expect that today you should all add 150-200 words to this page and you will have a successful day. Remember, that what you say should have citations by linking to the item on the Internet. Also, if you want to talk about WHAT is on the page - do it on the discussion tab. Remember that when you come to class you should first: check the discussion tab and RESPOND - people feel ignored if no one responds - even if you agree or say "hi" - they know you're there -- the most motivated teams and best wikis have good "Web 2.0 leaders" who engage with their partners by responding. RESPOND to them. a) Are all sources cited? Is everything that is said backed up with a hyperlink? b) How is grammar and spelling? Does it need correcting? c) Are there things that are repetitive? If so, combine them. d) Are there things that are unnecessary? If so, delete and if you delete a big piece of work, then leave a comment on the discussion tab about why - be careful of sparking a wiki war. f) Is the page aesthetically pleasing - long chunks of text without hyperlinks, spaces or graphics make it hard to read. If you fatigue and won't read your own page - who will. g) Is it organized? Are things where they are supposed to be? h) Are you CONVERSING on the discussion tab - this is a HUGE part of collaboration -- the conversation. If you're not conversing you're just like a lone person and not engaging with the team. Good teams have lively conversations and discussions. They are careful not to "flame" or get angry and think about their responses. i) Ask yourself "am I bored when I read this page?" Do I read the whole page? If it is a plain, static, uninteresting page, then do something about it. A good wiki page informs, explains, and engages the reader. Please share your tips with wikis. Collaborative wikis are so important and it seems to me that so few wiki projects are truly collaborative. Read Wikinomics - this is essential to our future! Their robot didn't have a soul. All the bells and whistles were there - wires connected, embellishments added. However, this group just wouldn't learn how to program. This group used their hands but just wouldn't use their heads. How was I going to pull them into understanding the fundamentals of programming when they thought the cute purple feather across Mr. Morgan's google eyes were the finishing touch? As I turned their creation over after school and compared it to the other three bots, I saw something. Artistry. Good Engineering. So, as I thought about what I could do, I considered what motivated these three boys. Only one week from "getting out" of school and their mind was on girls, earning money, girls, and football camp. I was too tired to bake the cinnamon rolls I knew would also work. In South Georgia - things aren't black and white, they are black and red: University of Georgia (UGA) red all the way. However, I'm in the minuscule minority of families who live breathe and die Georgia Tech gold and black. (This is certainly something my students and I go back and forth about each fall or whenever the Dawgs play the Jackets.) I grabbed the Lego brick and started programming. "I'm a ramblin wreck from Georgia Tech and a h*! ( of an engineer!" "Mrs. Vicki, you can't do that. Fix it!" They screamed. "You messed up our robot! You've gotta fix it! Now!" "No boys," I said, , "You fix it." I turned on my heels and practically lept to the opposite side of the room. As I circled among the other groups I continued to peek at the boys huddled in the corner. Amidst the manual, these boys were working. They were fired up. At the end of class, the tall curly-headed leader came to me and said, "Will you write me a note to come back during study hall." "I've got some more programming to do," he said. "Oh you do," I said, trying to hide my smile, "well, then, of course." Then, three days later, the team had their robot. It was beautifully designed and very well programmed. It would back up and turn a different direction when it ran into the wall and the pressure sensor activated. A somewhat off pitch UGA fight sound roared out of the robot's tiny speakers. Mr. Morgan was a winner - in fact it was THE winner that day. Those boys were amazing builders and incredible programmers. Many business people are mistaken about how easy they think teaching is. Business people can fire their employees - we can't fire our students. Our job is to "light the fire" and it takes a lot of psychology, a stubborn streak, and a sprinkling of good old fashioned love. That was the turning point for me, two years into my teaching career where I realized that I would have to motivate each student a little differently. I was going to have to customize my classroom to the passions, interests, and learning styles of the students. Because I couldn't fire them - I HAD TO FIRE THEM UP if wanted all of them to learn. Teaching transcended textbooks and computers. The dropout epidemic in this country is happening because kids are not fired up about learning. Don Tapscott says in his book, Grown Up Digital, that we must move from the traditional mode of "broadcast learning" into the age of "interactive learning" to reach this generation. (130) Don't think this means video games. We must remember that a good teacher is an enormous part of the interactive customization that creates a great classroom. Kids aren't fired up about learning but could it be because many teachers aren't fired up about teaching? "We're letting computers do what computer do best and we're doing what we do best. Teach." He went on to say how he, in many ways, felt he was spending more time teaching and knew his students better. I went on to share how technology not only helped my kids become more fluent in technology but I am connecting to them on a more personal and highly engaging level. Our moderator marveled at the fact that Dr. Rose's story and my story of falling in love with teaching and our students were so similar - he at Harvard and me at rural Westwood High School in Camilla, Georgia. Technology was becoming so deeply used that in some ways it was a side issue as learning was taking center stage. With the thousands of emails I get from people using technology to teach around the world, I believe this experience is happening at all levels. "Technology in learning should be like air: invisible, abundant and only noticeable when missing." These are powerful tools that pack more computing power than we dreamed of having in the early 90's. The power in their pockets needs to be placed as a prominent tool for promoting learning. Many students often have laptops that they are told to leave home by some educators. Initial results of the Abilene Christian University cell phone integration study into Statistics I shows that students are studying MORE because they pull out their cell phone "whenever" (yes they said whenever!) to study. I have some friends who have their math classes being taught "upside down" with math lessons recorded and delivered to mp3 players to listen to for homework while students work problems in class where they can receive teacher help. Personally, I read at least an hour a day on my Kindle with the daily news, technology news, and other insights sent to me whether I'm on the beach at Destin or in the doctors office with a sick child. I read "wherever" and it has made a big difference in my life and professional career. Overtesting combined with over-standardization have turned our education system into something that is totally missing the mark. Most schools are blocking any tools that begin with the "s" word: Social. I think we have the wrong "s" word that we should be eradicating. Again, the problem is not state or even national standards, the problem is in mistaking standardization of learning outcomes with standardization of delivery. Every classroom and student is as unique as the flowers in my Aunt Nan's garden. Good gardeners take best practice and customize to their zone, pests, and unique microclimates of their yard. Good teachers do the same type of customization in their classroom. Students Say Give us Social Learning! Educators are so hung up on the fact that kids might LIKE to socialize in educational spaces that they are ignoring the fact that they also might LIKE to learn something. They WANT to understand how to do Algebra II! They want to know how to write that essay. Sometimes they copy homework just because they can't find anyone to teach them how to do the work that they can relate to! Perhaps this is why World Math's Day set a new world record this past March 3rd with 1.1 million students from more than 58 thousand schools in 235 countries answering 479 million math questions. 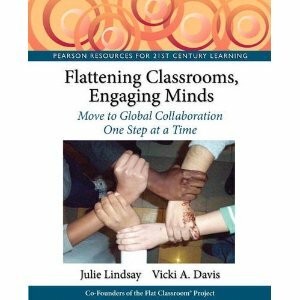 This is also, perhaps why programs like Flat Classroom™ projects (of which I'm a co-founder), ePals, iEarn, Taking IT Global, eTwinning, Learn Central, the K12 On-line Conference or Class Chats are experiencing such explosive growth. Students want to connect. Educators want to connect. But we're still not there yet. We need social spaces for educational learning like the Like-Write, IMPACT (Inspirational Museum Promoting Arts by Children through Technology), and Aha! (Amateurs Helping Adults) that the international teams of students proposed in Mumbai. If you take the time to view these videos, you'll see a certain "flatness" of people helping people with academic subjects or technology on a level playing field. I don't think many on-line projects have yet achieved this level of flatness as we need ongoing organic communities of learning around our major disciplines. In fact, some of the best examples of this social learning environment I've seen is with the language learning site, Live Mocha and the massive on-line role playing game for learning Mandarin Chinese, Zon. Honestly, I'm tired of excuses and sick of rhetoric. I see good learning happen wherever there are great teacherpreneurs who have been given the ability to customize the classroom to the learning of the students. My tiny classroom in south Georgia is working with public, private, rural, urban, remote, far reaching classrooms from places like Saudi Arabia, Pakistan, Austria, Spain, Oman, Romania, China, Japan, New Zealand, Australia, Canada, the U.K., and the USA collaborating DAILY with a small technology budget and a well-maintained four year old computer lab. We also use cell phones, mp3 players, iTouches, and just about anything technology that they own if there is an appropriate classroom use! Geographic location is more irrelevant than ever before. The only location that seems to matter is the person who is located in the teacher's desk and the people located in the front office and IT department as well as the parents located in children's homes. This is our generation to educate and if they are not being educated, there is no one to blame but us. Will we be called jailkeepers or freedom-givers? This generation will either rise up to rebel against educators as their repressive jailkeepers or they will rise up and thank us for setting them free. It is about having technology in our hands -- every hand. But it is also about letting the teacher customize the classroom enough that she can put "lids down" or "cell phones out" or use the very gestures we make as inputs into the computing devices around us. If you're overwhelmed, good. Because people who are comfortable NEVER change. They just continue to sleep. And Rip van Winkle keeps waking up to see desks and boards and teachers behind podiums and he thinks that time isn't really passing. Let's engage this generation in the most powerful, intense, always-on ways that we can! Let's customize the classroom environment with great teachers who look at the unique student and put in place walls, tables, and technologies that interact and sites that let them interact and learn from their peers. Let's deliver learning to their pockets so they can study "whenever" they are ready and "wherever" they are. Let's hold them to high standards but realize that we cannot reach this generation by over-standardization of delivery methods. We must be interactive. This is the most unique, customized generation ever to be in existence and their learning environments should look the same. In fifteen years when we look back upon the road into information millenieum, I think we will look back and see that the greatest pockets of innovation happened where students, parents, educators, and business were all treading the road together. It is fun, exciting, amazing, and starting the journey is just a little bit like being at the top of that first hill on your favorite roller coaster. 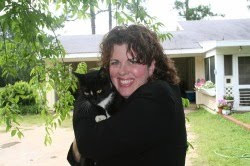 Vicki Davis writes at the Cool Cat Teacher™ blog and can be found at @coolcatteacher on Twitter. She teaches Information Technology and Computer Science Courses and is IT director at Westwood Schools in Camilla, Georgia. Gamerman, Ellen. "What Makes Finnish Kids So Smart." Wall Street Journal 28 FEB 2008: n. pag. Web. 30 Apr 2010. .
"Living and Learning with New Media: Summary of Findings from the Digital Youth Project." John D. and Catherine T. MacArthur Foundation Reports on Digital Media and Learning (2008): 2. Web. 30 Apr 2010. .
Rosen, Larry. Rewired. New York: Palgrave Macmillan, 2010. 31. Print. Tapscott, Don. Grown Up Digital. USA: McGraw-Hill Books, 2009. 130. Print. "The New Digital Classroom, Building Expertise through Technology." Expert Talks: The New Digital Classroom, Building Expertise through Technology | Scholastic.com. Web. 30 Apr 2010. .
Whitaker, Todd. What Great Teachers Do Differently. Larchmont, N.Y.: Eye on Education, 2004. 9-10. Print. All photos purchased from iStock photo and not licensed for reuse unless by Vicki Davis. I've been evaluating for some time the best way to connect in a mobile way - do we all go with SmartPhones? Do I get a cell modem. We're on a tight budget but I had a little bit to do something with to get through June and July. It is very important to me to do things the right way and cleaning out my inbox down to zero has becoming a habit - I've gone for three weeks straight and only missed one day! What a relief! So, looking at all the options and knowing that Verizon will hopefully get the iPhone later this year. My whole family is pretty iTouch dependent. I have my laptop. I played with the Droid Incredible and had problems with the keyboard. Just not what I wanted. I'm really excited about this and making things easier. We're paying $59.95 for 5 GB a month on it - which is the same as if I had a USB plug in on my laptop that I could use on only one device at a time. For our busy family on the budget, it is better - if we went with smartphones, we'd have data on the phones and I'd still have a laptop that didn't have data. Now, if I could find a good microphone/ headset option for my itouch we can just skype and use that tool - although I still do really desire the iPhone - AT&T service is just horrific out here in the boonies. I told my husband that I guess I'm a traveling "hotspot" - I look at the computing power in my pocketbook - monstrous jump drives on my keychains, a small 1TB hard drive and now a roving wifi node - amazing! As long as it improves my life and makes it better. If not, I don't have any use for it. 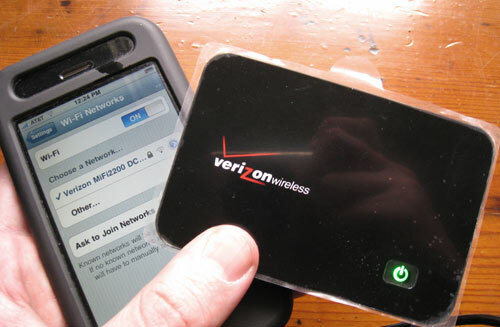 OK, so now that I've checked email and written this post using MiFi - I have time to go spend with my family. On May 12 many US educators are calling attention to the cuts in educational technology. I got this in my inbox. President Obama's budget for FY11 provides no direct funding for education technology programs. Instead, it zeros out the Enhancing Education Through Technology program, the only source of direct support for ed tech in many states and districts. Congress doesn't have to agree to the President's budget recommendations. Help your senator and representative understand what's at stake! On May 12 tweet, retweet, and blog your support for $500 million in FY11 ed tech funding. Mark the date on your social media calendar!" As you plan what you're doing this summer - here is a list of 50 opencourseware summer courses for special education teachers. Although budgets for PD are being cut everywhere - true professionals ALWAYS develop themselves and it is time to go out on your own! We must always progress or we regress! This is a really cool site that lets you create a group card and lets people sign the card. You can email or tweet out the link. What a really cool thing! Another list sort of place if you just love sticky notes. Sort of like wall-wisher for sticky notes. If you use Evernote - follow this on twitter to send photos, etc.to your evernote account from your cell phone. For those using Evernote who do not have an iphone, this is essential. This website is used by many researchers to organize their web information. Use tool to mark up and edit on-line pages and pdf files. Larry Ferlazzo highly recommends it, so I'm going to look at it. Great post by LarryFerlazzo on the Teacher Tech series over at Microsoft this week.There are lots of wonderful resources there to share. Teacher Appreciation: Teachers Must Appreciate Their Own "Nobility"
Teaching is a noble calling! ACT LIKE IT! This book has been resonating with me because it is May. For some reason, in May, "when it rains it pours" and this week it happened literally. Let's see... funeral... exploding air conditioner... no air conditioner for two days...Internet modem down... firewall malfunction... network down for two hours... portfolio grading till 2 am... academic banquet grades due... National Honor Society hours counted...2 days of network malfunctions... stressed students who missed class for state track last week...stressed students from spring softball and football... stressed teachers who couldn't enter grades because of network malfunctions...oh and that was just Monday through Thursday! Friday was field day! I'm not saying this to complain, I am saying this to point out that my nerves were FRAYED. My co-workers nerves were FRAYED also. We're all tying a knot and hanging on to make it to the end of the school year when so many deadlines, end of term projects, grades due, graduation, senioritis and summer-it is hit like Noah's flood! But I come back to Whitakker's wise words -- I was feeling a bit upset on Monday and I actually pulled this book out of my pocketbook and re-read this quote. I love these students dearly but when I lose my temper -- EVEN WITH REASON - I literally shave off a piece of my nobility. The nobility of teaching. And one of the essential ingredients is that teachers simply MUST rise above. On Friday and Field day I took a look around the gym. I had the orange team, there were all sitting in the stands just as wonderful and great together as anything and me with my chair in front. I looked at the other teachers and their students were being great as well. To know that you have your students together and that there is a relationship of mutual respect is a great thing! You'll notice that nine times out of ten when parents complain about a teacher it is about what the teacher DOES not the CONTENT knowledge. Why then, do so many education programs spend so much time on content knowledge and lesson plan creation instead of classroom management and psychology. It isn't about revenge it is about IMPROVEMENT. Proving your "authority" over a helpless child is not noble. What is noble is being humble enough to help the child improve and not do it again. When "Nuthin'" isn't really "Nothing"
I love how he talks about that when kids leave the principal's office that they always tell everyone "nothing happened." Personally, I've seen kids cry their eyes out and go to everyone else and say "nothin happened." It is never too late to start acting like the nobility of a teacher that you are. Yes, you're human, but if you feel yourself losing it, cope in creative ways. This week, I had a student I felt that I was about to become unprofessional with because he wasn't doing something he needed to do. The best answer was for both of us to take a break from one another. I was not going to "lose it" knowing that I was emotional and tired. As much as the kid was in the wrong, I would have moved from right to wrong had I lost my temper. A servant boy can behave with more nobility than a knight. Nobility is determined by behavior not "rank." Human beings who have faced great odds and responded with dignity, kindness, and respect to those who did not deserve it have their names spoken throughout time with great respect because of the nobility of their actions as they walked upon this earth. Many of those names, though not famous, are the truly noble teachers in our lives. Sometimes the greatest nobility comes from allowing yourself to be misunderstood by others in order to do what is right for the student. Sacrifice of Self for the Sake of Students. 3) Humbly Realize That You're Not "SuperTeacher"
One common denominator of "super teachers" -- they rarely know it. If you are proud and think that you know it all, I think you should step back and ask yourself if there are some things you need to learn. My high school English teacher is a "SuperTeacher" if I've ever seen one. I teach right next to her now and she is always working to improve and evaluate and move ahead. When I praise her teaching ability, she usually deflects the compliment like a bullet off Wonder Woman's bracelet and talks about the places she needs some improvement and what she wants to add next year. In fact, every "SuperTeacher" I know is like this. I can tell you this, I may be Cool Cat Teacher but there are quite a few things that I'm going to do differently next year than this year. I'll keep what works and change what doesn't! Be aware that SuperTeachers cannot be put on a pedestal and cast in stone because the best ones are made out of malleable clay that they reach up and work on themselves and allow the specific needs of their class to also mold. Great teachers are priceless. Some principals think all their attention should be given to the lower performers. Well, if one of your great teachers needs attention, then you've just made them want to lower their performance to have yours! Likewise teachers, if you just pay attention to lower performers, you've just done the same thing for your higher performers. I wish I could get a transfusion of the blood of a perfect teacher. But since there is only one Perfect Teacher I've ever heard of, for now, we'll all just have to realize that a HUGE, TREMENDOUS part of teaching is how we act towards our students and colleagues. One of the most important things that you will do is write comments on student report cards. I can spend a whole year with a student but it is the comments that they live for. They "earn" the grade but the comments represent who they are! Find something that they are good at. Give an honest, sincere compliment in your own words that did not come out of the comment bank. Again, comments aren't about "revenge" as some poor teachers see it (ah, ha - I'll get you on the comments and have the last word) but comments should be about leaving something with that student that they will think on. Having the last word in a positive way. I want every child to know that they are important, unique, and have a purpose in this world and as a teacher who loves them, I want to help them on that journey to find what they are good at doing. Teachers - you will never be paid enough nor praised enough and that, my friends adds to your nobility. This teacher Appreciation Week, I hope you took the time to step back and appreciate the gravity of what you're doing. We didn't even "celebrate" the week at our school - not a soul said a thing - but I celebrated it by responding in good ways to bad situations. Nobility is shown in how we act and the calling upon our lives to educate the next generation. I appreciate you and love you because I am one of you. This is a tough job that is misunderstood by pretty much everyone except those who have ever been in a classroom. Students nor parents nor principals understand what it is like to wake up in the night and see a student's face and agonize about how to reach that child. Whole futures weigh in the balance of how we behave and if we can meet our calling. Your worth is measured not in accolades or money but in how you behave in your own classroom. Your worth is measured not in newspaper articles nor magazine spreads but in the impact on the individual students who may even forget your name in another year. Your worth is measured by the many thousands of deeds, words, thoughts, and actions that you pour upon a generation that will run the world one day. Your worth is not measured by arrogance but in fact is counted in the humility by which you serve those who will probably not appreciate you. Your worth is measured by how you appreciate the nobility of your calling and strive to behave in ways that reflect honor upon your profession. the nobility of teaching is conveyed upon those who teach nobly. Remember your noble calling, teacher! "Sudden Cardiac Arrest can strike anyone, anywhere – and a victim's chance of survival depends on the people around them. Be the Beat offers free games, music, videos and giveaways to educate teens about recognizing a cardiac arrest, calling 911, CPR and using an AED, while they have fun! Schools play a vital role in this movement to train teen lifesavers. As a complement to your CPR and AED program, or other curriculum, check out our free resources and register now so we can keep you updated on the latest news. Then, encourage your students to play and learn on Be the Beat. Together we can create the next generation of lifesavers!" With summer approaching in the USA and the inevitable tragic drownings that always happen - your teaching could save someone's life! Some cool videos. (I wish they were embedded) but still, links to a lot of the best videos are here. This is hilarious. Submit your video to this contest to win a projector. Finalists will be chosen based on how pathetic, compelling and entertaining their Ed Tech entry is. TeachHUB visitors will vote to crown the "Our Ed Tech is Busted" champion. The winner will be announced Tuesday, June 1. " This is hilarious and I love it! So, stop having a pity party - get out there and use pity to help you win something! Great article on Class Chats. I just love what Cherrie MacInnes is doing and have blogged it before. Join up on this very viral - grassroots sort of networking for teachers. "We've revamped our site to make social networking easier, where you basically get feeds of what your friends on the site are doing. Plus, we've added a new feature, the Notebook, where members can submit their writing and get it corrected by other members of italki. It's a great way to practice and perfect writing skills. We think this is a very valuable tool for mastering another language, in addition to the oral practice you can get on our site with language exchange partners, and the chance to hire a personal 1-to-1 language instructor in our Marketplace." This is sort of an "RSS reader" / newspaper-ish kind of format. It may be a non-intimidating way for some to start reading and customizing the web. I'm still learning about how it works, but some may really like this format. On-line safety lessons for students from AVG antivirus software. From a friend of mine at Scholastic - here is some research on fifth grade reading comprehension. "Results after two years of using three reading comprehension curricula show gains from one program and no effects for the other two on reading comprehension for fifth-graders, according to a study released by the National Center for Education Evaluation and Regional Assistance in the Institute of Education Sciences. The study focused on whether 5th grade students in disadvantaged schools could be helped in making the transition from "learning to read" to "reading to learn" by bolstering the vocabulary and comprehension skills that allow them to organize and acquire knowledge from text. Three commercially available supplemental reading comprehension curricula were used for a second year by school and teachers to teach explicit reading comprehension strategies—ReadAbout, Read for Real, and Project CRISS. The study included 182 teachers and 61 schools in 10 districts, with study schools within each district assigned by lottery to use one of the curricula or serve as a control group." Here are the first two paragraphs of the guest post I did for the Microsoft Teacher Tec blog. I'll come back and add the rest later, but I'd appreciate a click through to the guest post as we are in a competition. The blog post getting the most votes goes on the official Microsoft blog - and sure, I'd like to be the one chosen. If you don't want to read the rest or give me your "vote" - wait here a few weeks and I'll post the rest of the article. In the NetGenEd™ project with Don Tapscott—students from my school and over 300 students from five countries are studying the future of technology. They are breaking down trends like Mobile Computing, Open Content, Electronic Books, Simple Augmented Reality, Gesture-based Computing, and Visual Data Analysis. But who cares? Aren't educators just sick and tired of change? Aren't we going to reach a point of stasis where we can kind of "hang out" a while? The only thing consistent in our technological landscape is change. If you dig deeper into all of the trends listed above, you'll see that computing is integrating into our lives. We will be able to put input into a computer with the gestures we make, flicks of the finger, eye movements, voice and even "skinput." Technologies will move into the walls that surround us in ways we're just beginning to comprehend. ...See Rest of the Article on Teacher Tech.